Every once in a while a new idea comes along that makes people wonder why nobody thought of it before. 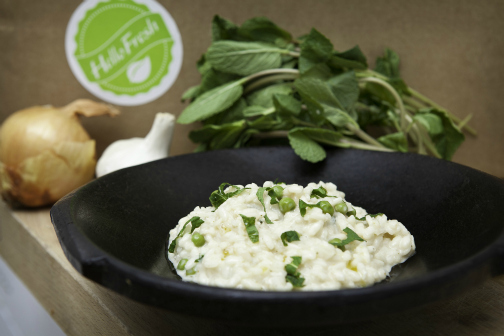 Hello Fresh is a brand new grocery delivery service tailored to the needs of busy parents. With Hello Fresh anyone can easily prepare amazing food for their family and friends in their own home. Hello Fresh delivers amazing recipes and all the necessary ingredients to your door every week. It is easy to sign up on the website for a weekly subscription. Simply choose how many meals you would like to receive and Hello Fresh does all the hard work for you. The recipes are created by professional chefs who have worked in world-famous restaurants such as the Fat Duck. These chefs have taken the hassle out of weekly meal planning, ensuring your family has a healthy balanced diet. And don't worry; they are so easy to prepare that busy parents can create a Hello Fresh meal in no time. Kids love trying the exciting new meals. Take them on a journey around the world with dishes like Emperor’s Chocolate Chilli Con Carne, and Penne at Sunset. Pickier eaters can easily leave ingredients out of a recipe, or be bold and try something for the first time. Who knows, it could be a favourite! In fact, Hello Fresh takes easy cooking to a new level. Recipes typically take only 30 minutes or less to prepare and don't require fancy kitchen equipment. 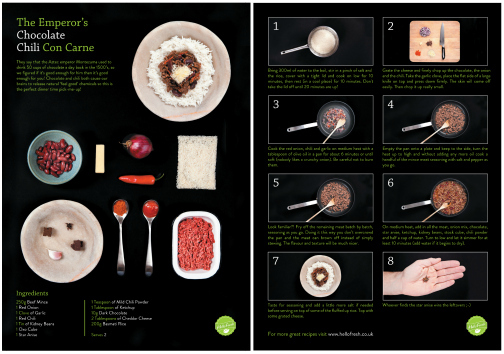 The recipe cards are lovely to look at and provide a photo for each step, making sure that every meal is just perfect. So if you enjoy great food but want to save time on meal planning, grocery shopping and cooking, Hello Fresh comes to the rescue!